Your choice of 3, 8, or 12GB of 4G LTE data each month—no more overpaying for data you don't use. Some carriers charge for this. We think that's lame. Ours is included free and comes in selectable standard, micro and nano sizes. Yup, we're coast to coast on the nation's fastest, most-advanced network (i.e. it's legit). Is it hot in here, or is it just us? Oh, it's both because we let you turn your device into a WiFi hotspot. Pretty cool, not gonna lie. 7-Day Money Back Guarantee— so you can get a taste of the Mint life risk-free! WiFi Talk & Text: Send calls and texts without full network coverage when you’re on WiFi! 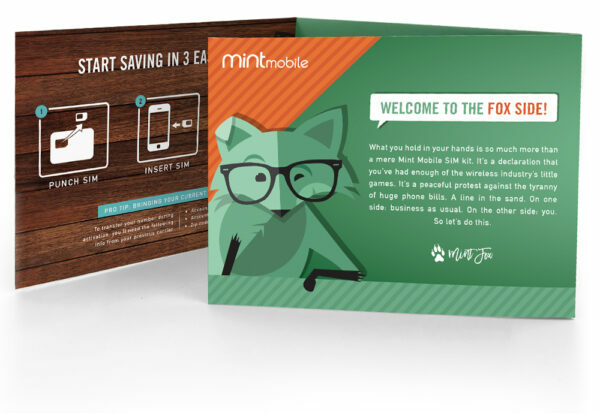 C’mon, aren’t you dying to use the phone plan with a cute little fox on everything? Long story short: we offer awesome wireless service at the lowest monthly price. Period. You can get great intro deals on our 3-month 8GB and 12GB plans, too! All the same great features with even more 4G LTE per month! Search for your device below to see if it works with Mint Mobile! Congrats, your phone works with Mint! Your phone will receive our fastest data speed, 4G LTE! Perfect for everything your phone does! However, it's not a perfect science so you can try us out risk free with our 7-day money back guarantee. 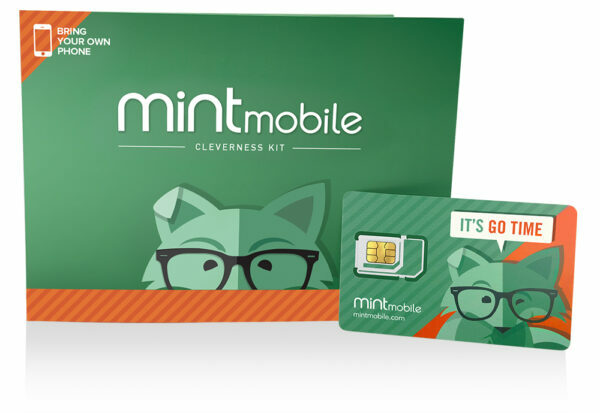 Your phone will run Mint at up to 4G speeds—slightly slower than 4G LTE, but still great for everyday use! — However, it's not a perfect science so you can try us out risk free with our 7-day money back guarantee. Your phone will be great for talk, text and email on Mint, but consider upgrading your device to take full advantage of our service. 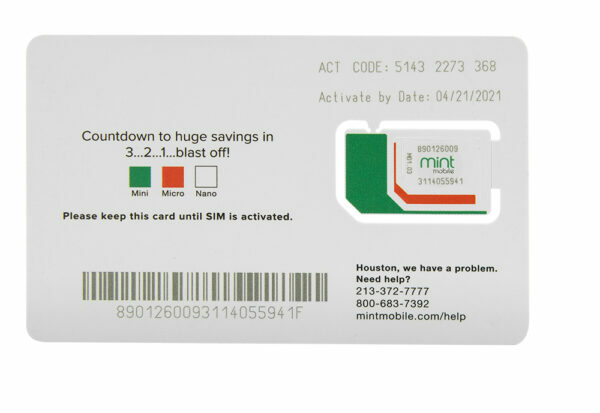 You’ll be able to call and text with Mint, but you’ll experience slow data speeds. Consider upgrading your device to get the most out of Mint! Dang, your phone isn’t a match. Unfortunately, your phone is not compatible with Mint Mobile. 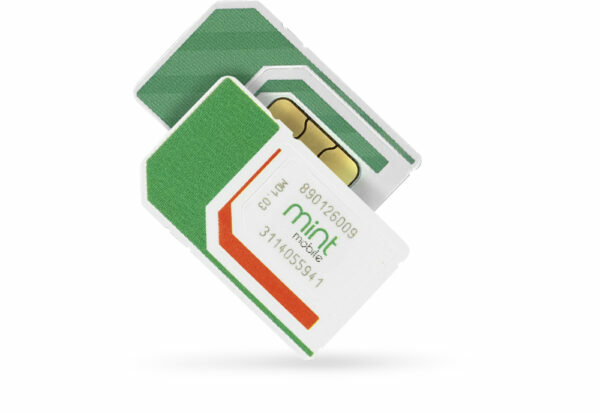 To use Mint, you’ll need an unlocked GSM-network device. First make sure we're rocking and rolling in your neck of the woods. Your location might not be the best fit for using Mint Mobile. Please first take a look at our coverage map, and then proceed with caution! It's possible your coverage may be spotty in some areas, but we think it's worth a shot! Signals point to clear connections, rainbows and even some butterflies. After your 3-month plan ends, you can lock in your low intro offer pricing by renewing with a 12-month plan You’ll pay the same $15/mo as before, but this time with no phone bills for a whole year! If you only want another 3 months of service, you can renew at our regular 3-month rate of $23/mo. Echoing other reviewers, our experience with MintMobile has been excellent. We switched from Republic Wireless during MintMobile's promo, and we have had no issues (so about 3 months of use as of now)! My wife and I both have unlocked phones (iPhone SE for her and Moto G4 Plus for me), and setting things up with MintMobile was no sweat. As noted by other reviewers, MintMobile doesn't do any hand holding on setting up your tech, but their website has all o f the explanations you need to get rolling. And once you do, you'll be super thankful that they are helping you save a boat load on your wireless service. Thanks, MintMobile! I get the same quality of service from one of the big cell phone companies at a fraction of the cost. Set-up was super-easy and any questions I've asked the company have been answered quickly and courteously. No complaints, happy customer! I love Mint Mobile. I am from Canada and in Arizona for the winter months and needed some cell service. 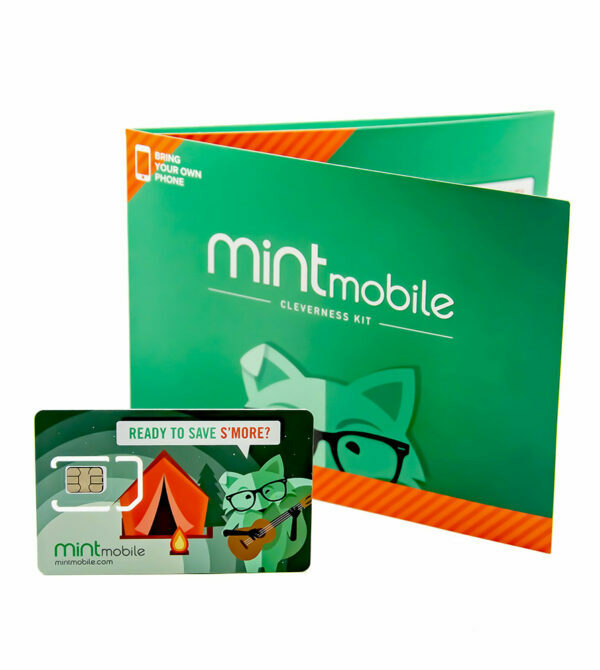 After doing a lot of research I found Mint Mobile to be the best and most economic service. I love their fun website with great information and videos on how to get my cell phone set up and use their service. The service in my area (Tucson) is just great and I have not had any troubles at all. I will definitely use this service every year that I come to the United Sates. Thanks Mint Mobile!